Strawberry Studios, the Stockport music recording business which shot 10cc to fame, has been bought out by a rival group in a £200,000 deal. Near neighbour Yellow 2, run by tv producer Nick Turnbull, has acquired Strawberry as part of what it heralds as a 'major expansion programme'. The combination will put Stockport back on the map in the music business after a long spell in the doldrums, it's claimed. 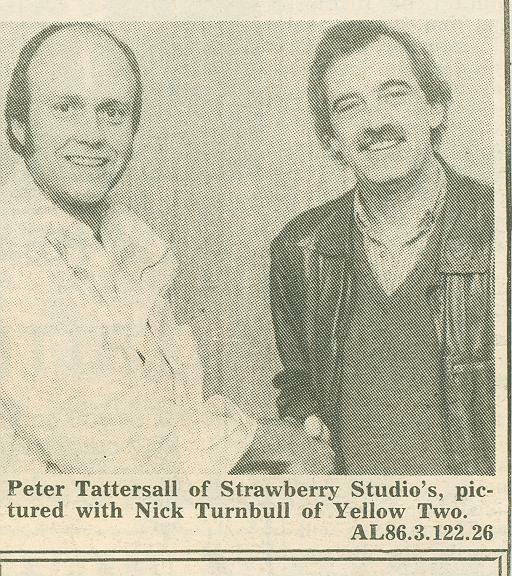 Strawberry boss Peter Tattersall, who set the studio up more than 20 years ago, will be the main beneficiary of the deal. He will stay as the head of the new firm's publishing and production facilities to make way, he said, for young talent at the 'sharp end' of the business. Mr Tattersall, who lives in Bramhall, said 'I'm convinced there is another 10cc in this area.' Richard Scott and Martin Lawrence will also stay with the new company. Strawberry was set up in a small room above Nield and Hardy in Princess Street. It hit the national headlines first with 10cc and later with St Winifred's School choir's chart-topping hit Grandma. Today, Strawberry is based on Waterloo Road, Hillgate, a stone's throw from Yellow 2 on Bamford Street. Most remarkable about Yellow 2 is its impressive expansion since being established recently by Nick Turnbull. The studio has a prestigious contract to supply services for BBC Radio 1's weekly 'live' programmes, nationwide. It has just installed the first ever Neve V series console and is planning the first ever fully-digital studio complex.